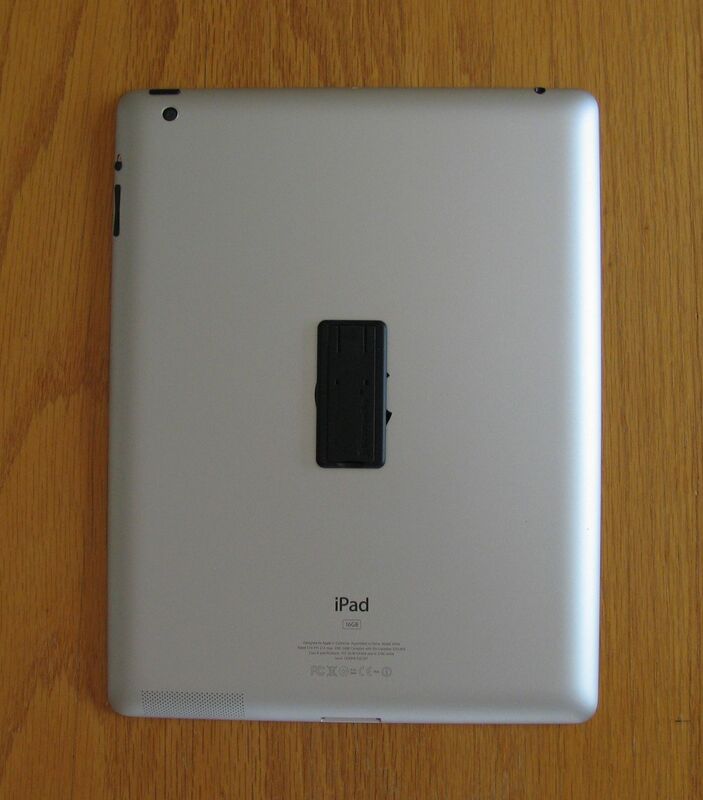 Install Tip: open the kickstand's blade to its maximum open position (notch #4 - 90 degree postion). 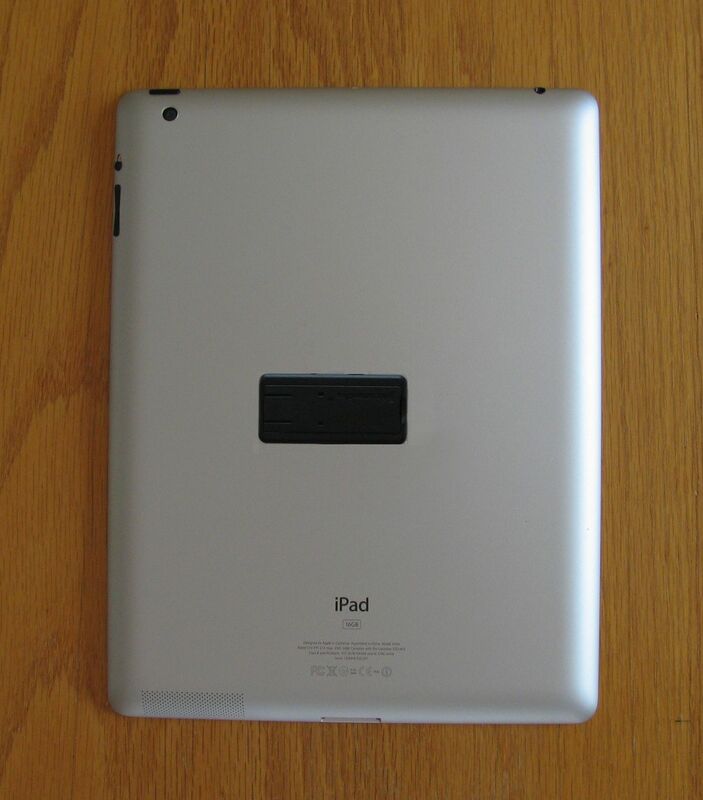 See the visual cross-hair mounting que. Regardless of mount preference, make sure the opened kickstand blade can be visually cut in the centerline both horiztonally and vertically for best mounting position. 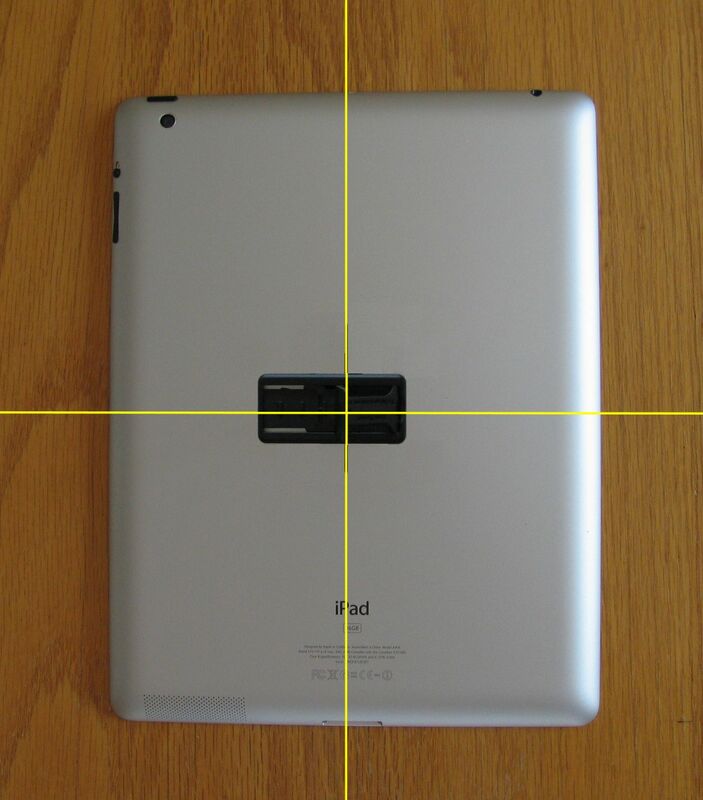 Note: the orientation shown below gives preference to the tablet being used in the Portrait position, but will also work in the Landscape position. 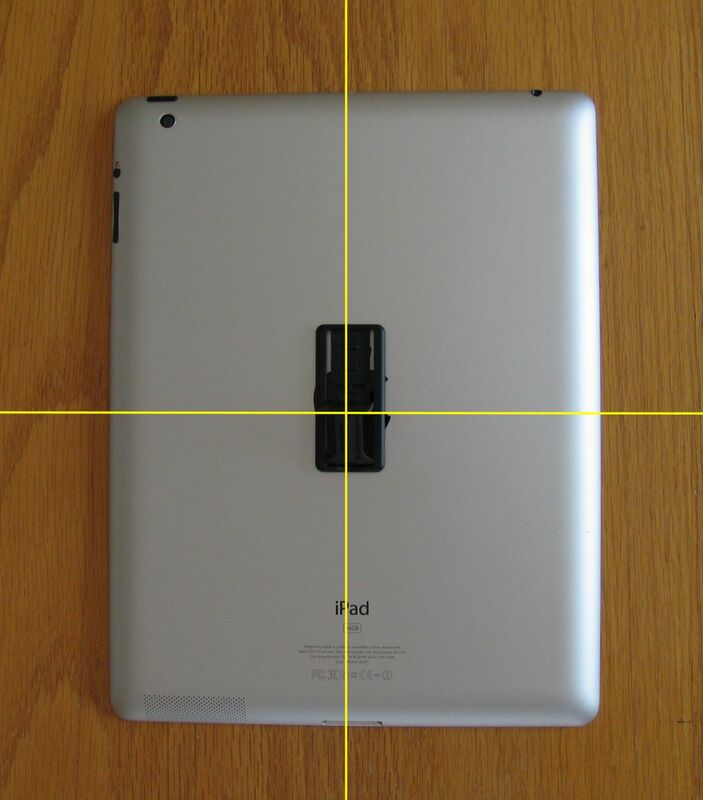 Note: the orientation shown below gives preference to the tablet being used in the Landscape position, but will also work in the Portrait position.